We are specialised in creating spaces that are beautiful yet functional. Our design input passion and enthusiasm to every project. From inspiring design to complete renovations we have you covered. It is a pleasure for us to give life to your dreams. The 3d interiors and exteriors views are designed as unique as outstanding. Presenting innovative designs is our ultimate goal. We know that architecture is more than designing buildings. We work with our clients to craft memorable spaces. We apply sound principles of design using eco-friendly tools to deliver spaces that inspire. We look forward to work in your project regardless of the size or the scope. We are here to deliver our promise to provide unique designs that are visually dynamic yet user friendly. We feel proud on never delivering anything less than perfection to our clients with unmatched price tags. I, C. Govindaraj, introduce myself as Proprietor of M/s. 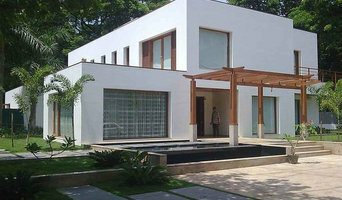 C. GOVINDARAJ BUILDERS, a reputed Builders, doing profession in the groove of civil construction such as Architectural and structural engineering, based at Chennai having office at No. 12D, Rajendra Prasad Road, Nehru Nagar, Chromepet, Chennai. 600 044. On completion of study from the year 1991 onwards I joined as a Trainee with one Mr. Neethimannan, a famous Architect in Chennai and I involved in Building Drawing, Structural Drawing, Planning, exterior and interior decorations, estimating, marking and also supervising the Civil works for three years. During this period I worked at Chennai, Erode, Namakkal, Karaikkal etc in Tamilnadu State. I am enclosing the certificates for the proof for the above. After that from the year 1994 to 1996, I worked with M/s. Kay Es Em Builders in Chennai and participated in the Projects of constructing multi storied apartments at Anna Nagar, Perambur etc. For the said projects I, myself prepared the Plan, Elevation drawings and co-ordinated with the structural engineer and also supervised the construction personally. I am enclosing the proof for the above facts. Then for two years from the year 1996 and 1997, I worked with M/s. Sridharan and Gnansekaran Architects and Engineers having office at T. Nagar, a well known builders in Chennai and served as Site Engineer at T. Nagar, Chromepet and Sanatorium projects where I completed the Apartment constructions in my supervision. Subsequent to that I undertook some assignments with Mr. Jagadeesan of Ekkaduthangal, Proprietor of Jagadeesan Leather Company and also with Mr. Thotta Tharani, the famous cine Art Director who was having his office at A.V.M. Studio at Vadapalani on the recommendation of Mr. Raveendran, a Vasthu Consultant who is having office at Teynampet, Chennai and completed the works successfully. In the year 1999, I started my above said firm i.e. 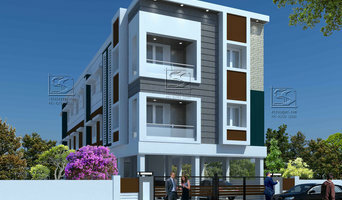 C. GOVINDRAJ BUILDERS and I am proceeding in this line of Civil Engineering and Structural Engineering works as per IS standard by availing valuable consultants from reputed Architects and Structural Engineering experts. 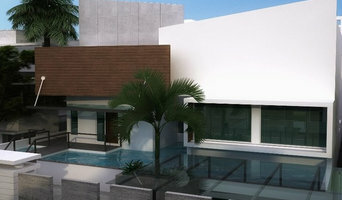 The specialty of my performance is preparing drawings and designs by not wasting the landed property to the utmost and completing the work to the entire satisfaction of the customers who entrust the work to me without giving any mental stress to them at the nominal rate of prices beyond their expectation. We directly handle almost all aspects of construction without giving subcontracts. In this way, we are able to cut costs by decreasing the number of middlemen involved in your project. Sree Karmik is a part of Sree group that serves in the fields of Textile manufacturing Construction, Engineering consultation and Renewable energy. We undertake turnkey design and build projects and deliver an entire utility solution to our clients thereby reducing hassles of procurement for the client. Radiance reality stands among the best construction companies in chennai. We build quality residential spaces to make living comfortable. We are qualified engineers and are in constructionbusiness since 1986.Quality and Timely completion are our strengths. Why should I hire a contractor or civil engineer in Chennai? Civil engineers or building contractors, often play the role of a project manager. They oversee the entire remodeling or new home construction project and facilitate all day-to-day tasks that move it toward completion. Construction contractors can be involved from an early stage and can work closely with the architect to review plans, arrange for permits and inspections etc. In addition, Chennai general contractors are responsible for hiring subcontractors for the majority of jobs, such as electrical work, painting or plumbing. Most importantly, contractors should be on-site regularly to inspect the progress and resolve issues and track progress. How do I find a good contractor in Chennai? Finding a dedicated contractor to build or renovate your home can be a challenge. Choosing the wrong contractor can lead to delays, bad quality of work and even legal problems. To avoid such problems, it's essential that you do your homework before deciding on the right general contractor. Research civil engineers and contractors in Chennai on Houzz, look through their work and read reviews to understand their style before you reach out to them for bid or quotes. One you have narrowed down your choices, meet with them to discuss a few aspects like the details of your project, the budget and the timelines. Also, always insist on having a written agreement before getting started on the project. 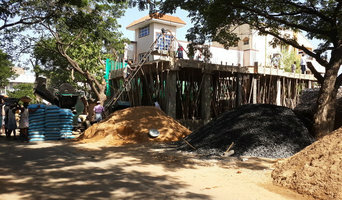 Find a good Chennai contractor or civil engineer on Houzz. Narrow your search in the Find Pros section of the website to contractors. You can also search for photos and contact the contractor who worked on the project.